Union Southampton awards student projects, FuseMind and EthiCo, £500 investment each, as part of the Enterprise Fund 2016. The businesses, formed by University of Southampton students, were each awarded £250 from the Enterprise Fund, an initiative to encourage students to develop their innovative events, activities and projects. A further £250 was match-funded by Union President, Alex Hovden and awarded to each project. The second business, EthiCo, promotes reusable products in order to reduce single-use plastic waste on campus and in the local community. 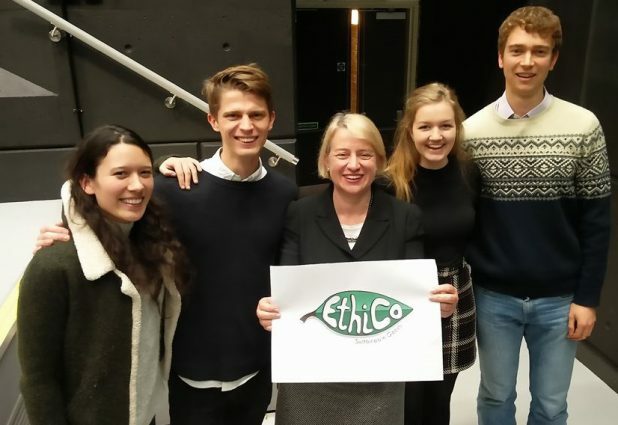 The start-up, founded by four students at the University of Southampton, aims to provide students and staff with the means to consume food, drink and other products in an ethical and sustainable way. Our Vice-President Engagement, Dan Varley, Student Enterprise Officer, Serban Berariu, and Union President, Alex Hovden were present on the Enterprise Fund panel, who chose the winners out of eleven submitted projects. Stay tuned for the businesses which are set for big things in 2017.